We carry extensive lines of readymade clothing at competitive prices. Readymade clothing is often associated with retail establishments; however, William T Clothiers gets your readymade clothes a customized touch by being able to custom order patterns, fabrics, special sizes, and brands that most retail establishments simply won’t carry on their sales floor. If you’re in the market for readymade, off-the-rack clothing, come to William T Clothiers and we’ll take care of you better than any retail salesperson can. Don’t forget, we come to your home or office…and if you like, we’re centrally located in beautiful Old Town Fairfax. The benefits of working with us is that Mr. Todd Baldwin is an expert in clothing today’s professional man, we’re caring, and accessible (you can visit our office or we can visit you at your office or home). Check out our selection of suits and we’ll help you choose the right size, fit, style, pattern, and fabric. If you have seen it at a retail shop, we’re likely to have the specific shirt or something similar (or better) in house, at comparable prices. We invite you to call us to set up an appointment so that you can review our options, presented in the form of fabric swatchbooks. 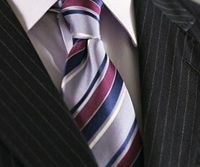 Of course, we’re custom tailors, we’ll make sure to get your exact measurements and figure out what your fit should be. Our wide selection of readymade pants will ensure that we have a complimentary pair of slacks that will match any other piece in your wardrobe. 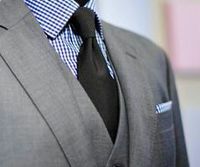 Let us measure you appropriately and get together to pick the right combination of comfort, style, color, and fabric.